NSW Roads and Maritime Services implemented the National Heavy Vehicle Driver Competency scheme for the training and assessment of heavy vehicle drivers on 1 January 2013. A new online system Heavy Vehicle Competency Online Reporting System (HVCORS) was implemented to facilitate the recording of criteria assessment results, managing FCA and CT bookings and recording of FCA and CT assessment results. These Help Pages provide advice on the use of the online system, HVCORS. This website uses Secure Socket Layer (SSL) encryption. SSL is an industry standard for secure e-commerce transactions. If your browser did not support SSL, you would not be able to access this service or see this page. The RMS monitors developments in security and encryption technologies and reviews and updates its processes and procedures in line with industry standards. Current and previous versions of Firefox. You can download the latest version of Microsoft Internet Explorer by clicking on the link at the bottom of the screen. The use of other browsers is not supported. There are no guarantees that the application will function normally in an unsupported web browser. If the user accesses the website using an unsupported web browser, a banner will be displayed on top of the page. This website is best viewed using a PC display resolution of 800 x 600 pixels or more. If any errors are detected, these will be displayed at the top of the page and you will not be able to progress to the next page until you have corrected all the errors. You can progress from field to field in the screen forms by using the Tab key or you can select each field by clicking on it. This screen requests for a User ID, Password and Driver Licence State Code to be entered. The requested information must be provided for authentication purposes upon entering the HVCORS System. Select your Driver Licence State Code. Enter the Interstate Driver Licence Number (Interstate Assessors only). Click “Accept conditions & Login” button. Timeout after 45 minutes If you have logged in to the HVCORS Application and the screens have been inactive for 45 minutes, your login will be timed out and you will need to login again. Your password will be expired after 90 days. Once it is expired you will have 5 grace logins where you will be taken to the Change Password page. If you used up all your grace logins without changing your password, you will not be able to access the system. In that case you will have to either reset your password by clicking on the [Forgot Password] link in the login page; or contact the Help Desk for assistance. Each login access has an expiry date. To have the login expiry reset, contact the Help Desk. If the user has not logged in within the past 30 days, the login access will be automatically expired. To have the login expiry reset, contact the Help Desk. All invalid attempts at logging in are recorded. A user will be locked out of the system temporary for 10 minutes after 5 consecutive invalid attempts. To get access to the system again, wait 10 minutes before login again. A user will be locked out of the system permanently after 10 consecutive invalid attempts (including the original 5 above). To get access to the system again, contact the Help Desk. A password is like a PIN. For security reasons, your password should never be disclosed to anyone under any circumstances. You are accountable for every access recorded against your user ID and password. Special characters including ! @ ' # $ % ^ & * - _ "
Passwords are restricted so that common words, for example, car models, names of the month, and the user's name prefixed by a single letter or digit, for example, 1john, bcarole, cannot be used. Further, you cannot re-use the last 5 passwords that have been used previously. The system then asks you to re-enter the new password to confirm it. Passwords expire every 90 days. The application will provide you with 5 grace logins on the expiry date. At the last grace login the system will require you to change your password before you can access any other functions of the system. Forgotten your password? You can either click the [Forgot Password] link from the HVCORS Login Page or contact the your Security Administrator to have it reset. You may change your password at any time if you think someone else knows it. Click on the Change Password button. A confirmation or error message will appear. Clicking on the "Cancel" button will abandon your current process and navigates you back to the Home page. Special characters including ! @ # $ % ^ & * - _ "
Your password cannot be the same as any of the previous five passwords, including the current password. The password must not include spaces and is case sensitive. You may change your secret question and answer at any time if you think someone else knows it. The secret question and answer will be used reset your password in future in case you have forgotten it. Select a secret question and enter a secret answer. Click Change Secret Question/Answer. A confirmation message will be displayed..
Forgotten your User ID? You can either click the [Forgot User ID] link from the HVCORS Login Page. This screen provides information relating to the Heavy Vehicle Competency Online Reporting System (HVCORS). To proceed, select an option from the left hand menu. This screen displays the privacy statement declaration for the customer to accept before you are allowed to continue with the customer eligibility check. Read the privacy statement displayed, to the customer. Indicate whether the customer has agreed to the verbal privacy statement or not. Surname: Enter the customer surname. Driver licence number: Enter the customer driver licence number. State: Select the customer's State. Licence card number: Enter the customer's licence card number located on the front of the Driver licence (this field will display for NSW customers only). Licence class: Select the customer's licence class. Check the tick box if this relates to an eligibility check for a CT to remove a B condition. This field is optional. Check the tick box to certify that the applicant has no disability (this field will display for Interstate customers only). You may not proceed with the customer eligibility check if the customer has NOT agreed to the privacy statement. Clicking on the “Cancel” button will abandon your current process and navigates you back to the Home page. This screen displays the customer's assessment eligibility status for the licence class which they have applied for. A green tick means the customer is eligible for the assessment/test and a red cross means the customer is not eligible. If the customer is eligible for the assessment/test, the system will display a message of “The customer is eligible for Criteria assessments/Competency test (CT)/Final competency assessment (FCA)”. If the customer is not eligible for the assessment/test, the system will display a message of “The customer is not eligible for Criteria assessments/Competency test (CT)/Final competency assessment (FCA)” and will display a Reason Code message to why the customer is not eligible. View the criteria results which the customer has already completed by clicking on “View Criteria Results” button. Abandon your current process by clicking on the “Cancel” button. If the customer has no criteria results recorded, clicking on “View Criteria Results” will display a message on the Record Criteria Result screen to notify you but still allow you to record a result for the customer. This screen allows you to search for a customer to record/view their criteria assessment results. 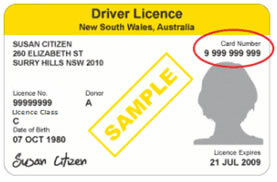 Licence card number: Enter the customer licence card number located on the front of your Driver licence (this field will display for NSW customers only). Licence class: Select the customer's licence class (this field will display for Interstate customers only). This screen allows you to view and record the criteria assessment results for a customer. Select the Licence class that the assessment was conducted against. Is this a bus? Select Yes or No. Select one or more criteria that the customer has completed. If the results are to be added for a bus an additional criteria titled ‘Bus stop procedure’ will be displayed. Select the RTO that the customer conducted the assessment at. Select the Assessor who conducted the assessment. Select the circuit location of the assessment. Select “Add” to submit the record(s) individually or the “I Certify” button. Note if you have selected all of the Criteria you will be required to tick a mandatory checkbox and certify that the required eligibility checks have been applied successfully by the applicant, before you can proceed. Print - this allows you to print a copy of the customer's criteria assessment results. Finish - Exits the Record Criteria Results screen and takes you back to the Home page. Click on the “Print” button. This will print a printer version of the booking details. Edit - this allows you to make changes to the selected customer criteria result that has been recorded into the system. You must select a record from the Criteria Achieved table. Delete - this allows you to remove the selected customer criteria record from the system. Clicking on the Assessment date calendar icon will allow you to select a date from the calendar. The Assessor and Circuit Location fields will only be displayed once you have selected an RTO. Criteria 14 (coupling & uncoupling trailers) can only be selected for licence classes HC and MC. This screen allows you to select whether to make a new booking or find an existing booking. To create a new booking for an FCA, CT or CT for B Condition removal assessment, click on the “New Booking” button. To find an existing booking, click on the “Find a Booking” button. This screen displays the privacy statement declaration for the customer to accept before you are allowed to continue with identifying the customer. Licence card number: Enter the customer licence card number located on the front of your Driver licence (NSW applicants only). Assessment type: Select an assessment type, FCA, CT or CT to remove a B Condition. Licence class: Select the licence class to record the result against. Clicking on the “Back” button will abandon your current process and navigates you back to the FCA/CT screen. This screen displays the customer's eligibility status for the selected Assessment type and Licence class. A green tick means the customer is eligible for the assessment/test and a red cross means the customer is not eligible. Select a Vehicle plate type. Enter a Vehicle plate number. Select a Gear box type – the applicable options are Auto, Syncromesh and Manual. Tick each of the mandatory ‘Certify’ checkboxes. Select 1st Trailer plate type (this will only be displayed for HC and MC licence classes). Enter 1st Trailer plate number (this will only be displayed for HC and MC licence classes). Select 2nd Trailer plate type (this will only be displayed for MC licence class). Enter 2nd Trailer plate number (this will only be displayed for MC licence class). Select an Assessor (this field is only displayed if you are not an Assessor. If you are an Assessor your name will be automatically displayed). Select a Circuit location (displayed when an RTO is selected). Select a Circuit (displayed when a Circuit location is selected). Enter an Assessment date (this field is displayed when a circuit is selected). Select an Assessment start time (this field is displayed when a circuit is selected). If the gear box type ‘Syncromesh’ was selected, a mandatory checkbox will be displayed. Tick the checkbox to certify that the gearbox type is syncromesh. Click “Submit” to continue with making a new booking. Note: a warning message will be displayed if the training and assessment was noted as being completed by the same person. If the customer is not eligible for the assessment/test, the system will display a message to notify you and stops you from proceeding with making the booking. If the Vehicle plate type is NSW or Interstate, the Vehicle plate number, Gear box type, 1st and 2nd Trailer plate type, and 1st and 2nd Trailer plate number fields are mandatory. Otherwise it is optional. NSW Fire and STA bus Vehicle Plate Types are only available to authorised RTOs for selection. Clicking on the “Cancel” button will abandon your current process and navigates you back to the FCA/CT screen. A FCA/CT booking can only be created between the hours of 7:00am to 6:00pm, seven days a week. This screen displays the booking ID along with the confirmation details of the booking. Advise the customer of their Booking ID for future reference. Advise the customer of their booking details. If you have finished with making the booking, click “Finish” to go back to the FCA/CT screen. Click on the “Print” button. This will print a printer version of this page. Close the window when printing has completed. This screen allows you to find an existing booking for an FCA or CT assessment. RTO (displayed if you are an Assessor). Assessors (displayed if you are an RTO Administrator). Click “Search” to start searching for existing records. You must provide at least one parameter in order to perform a search. If you have entered one or more search parameters, the system will only return bookings that match all search parameters. Enter the Date in the format dd/mm/yyyy eg. 01/01/2012 or select a date from the calendar facility. Click “Clear” to erase all the search parameter entries. Click “Cancel” to exit the Search screen and return to the FCA/CT Page. This screen returns all the booking records that met your search criteria. Perform another search by clicking on the “Search again” link. View the booking record in more details by clicking on the Booking ID number link. Exit the screen by clicking on the “Close” button; this will take you back to the FCA/CT screen. Cancel a booking by selecting a booking record and click on the “Cancel Booking” button. Amend a booking by selecting a booking record and click on the “Amend Booking” button. Record a test result for the customer by selecting a booking record and click on the “Record Result” button. This function will only be available if you are an Assessor or a RTO Administrator. Amend customer test result by selecting a booking record and click on the “Amend Test Result” button. This function will only be available if you are an Assessor or a RTO Administrator. Print the search results by clicking on “Print List” button. Export the search results to an excel spreadsheet by clicking on the “Export Results” button. The system will highlight all active/current bookings that have an expired RTO/Assessor/Circuit location/Circuit/Auditor in RED. You will need to amend the booking record to remove the expired data for the system to remove the RED alert. This screen displays the details of the booking record you have selected to cancel. You must enter a cancellation reason and click on the “Submit” button to proceed. A cancelled confirmation message will be displayed. This screen allows you to view the customer booking details and their assessment result if it is recorded. Go back to the Search Results page by clicking on the “Back” button. Click on the “Print” button. This will print a printer friendly version of this page. This screen allows you to amend the booking details. Over-write data that you would like to change. All mandatory fields are marked with a red asterisk. You will be required to select a valid ‘Amendment Reason’ before submitting the changes. Click “Submit” to save the changes. A confirmation message will be displayed. Click on the “Print” button. This will prints a printer friendly version of this page. Click “Cancel” to exit the Amendment screen and return to the Search Results page. Clicking on the “Finish” button on the confirmation page will exit the Confirmation page and take you back to the Search Result page. This screen allows you to record the customer's FCA or CT assessment result. Select the vehicle plate type that was used during the assessment. Enter the vehicle plate number that was used during the assessment. Select the vehicle gearbox type that was used during the assessment. For HC and MC licence classes, select the 1st trailer plate type that was used during the assessment. For HC and MC licence classes, enter the 1st trailer plate number that was used during the assessment. For MC licence class, select the 2nd trailer plate type that was used during the assessment. For MC licence class, enter the 2nd trailer plate number that was used during the assessment. Enter comments relating to the assessment. Click “Submit” to proceed. A confirmation message will be displayed when the result has been recorded successfully. Cancel the process by clicking on the “Cancel” button. This will abandon your current process and navigate you back to the Search Results page. Clear the result entries by clicking on the “Clear” button. Finish viewing the confirmation page by clicking on the “Finish” button to go back to the Search Results screen. Print a copy of the confirmation page. If the customer failed the assessment, the system will allow you to make a new booking for the customer. This screen allows you to make changes to the customer's FCA or CT assessment result. The result can only be amended by the same Assessor who did the FCA/CT. Over-write data that you would like to change. Note depending on the changes made, you may be required to complete additional mandatory information. Enter Comments in the comments box. Click “Cancel” to exit the Amend Test Result screen and return to the Search Results page. Clicking on the “Finish” button on the confirmation page will exit the Confirmation page and take you back to the Search Results page.